Excentric Hair | Be relevant. Be on Point. Be relevant. Be on Point. Excentric on Point opening soon! Have you been a bit not so happy with your hair lately? Have you been postponing that visit to the hairdresser because life just gets in the way sometimes? We have a solution for you - we are doubling up on that amazing service that you are used to and bringing you a suprise just in time for the holidays. Silly season may be upon us, but we’re still taking hair seriously. 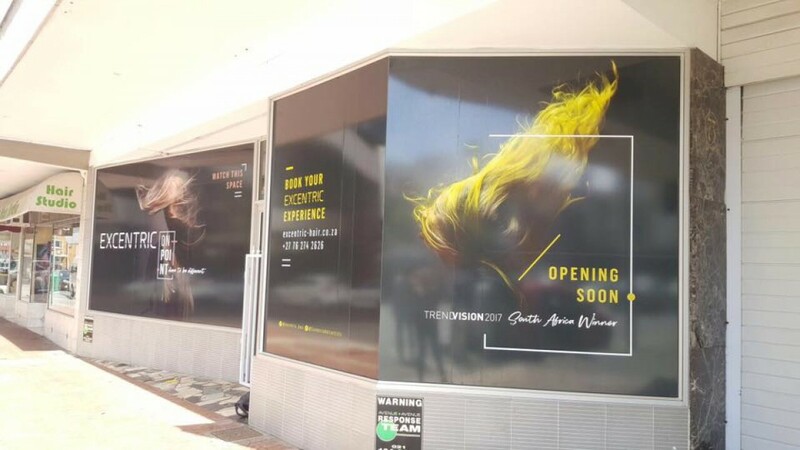 So much so, that we’re opening a second Excentric salon to help you achieve the hair of your dreams this summer. Are you ready for a change? Back in September we celebrated Excentric’s third birthday and we feel so grateful to have had so many of you as clients, and as friends. We have put our hearts and souls into Excentric on Regent and all that hard work paid off, we have built a brand that you can trust and that can help you become the best version of yourself. What better way to grow and expand than to open one more Excentric – Excentric on Point. Just down the road from the first location, you will find our second salon, equipped with the latest technology, the best products and the most skilful and passionate stylists, all trained in the Excentric spirit of high quality performance and creative inspiration, led by our wonderful Leandi (or Lea, as most of you know her). Flo and Safeera will be popping in often, say hi if you happen to see them! 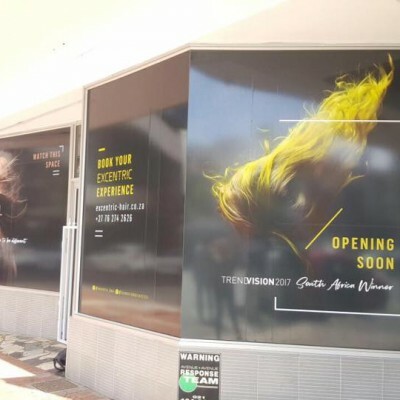 Book a full consultation, hair colour of choice, toner, relaxing scalp massage, precision cut and blow dry and qualify for a complimentary Olaplex treatment voucher to the value of R 300. *This offer is limited to bookings at our new salon Excentric on Point only. Bookings must be made with Leandi and Lucinda. Valid for bookings made in December 2017 and January 2018. Expires 31 January 2018. Each of us is unique, that’s why we treat you that way. Employing the latest precision cutting, advanced on-trend coloring techniques along with the best cutting edge and result driven treatments you will have a look that suits your features and personality. After hours and mobile bookings available on request. Subscribe to get a R100 welcome voucher. © 2016 - 2019 Copyright - Excentric Hair. All rights reserved.